Medical professionals can follow a few easy best practices to improve the patient experience and give the best care. Doctors and nurses strive to provide quality patient care every day. However, limited staffing and high patient demand is putting many institutions under pressure to perform, impacting the overall health care environment. Medical professionals can follow a few easy key practices to improve the patient experience and give the best care. Being in a rush has a significant impact on patient engagement and their overall experience. It's important to take the time to sit at the patient's bedside and talk with them to foster relationships and show compassionate care. A 369-bed acute care hospital in Northeastern Texas put this theory to the test with the "commit to sit" initiative. According to Patient Experience Journal, the unit improved nurse communication from the 9th percentile of reviewed hospitals in 2014 to the 43rd percentile at the end of 2015. Sitting at the bedside helps nurses maintain eye contact on the level of the patient, showing they are actively listening. This has a direct impact on patients' perception of their stay. 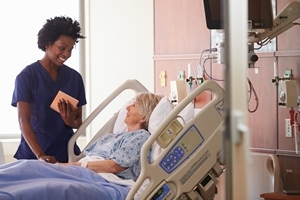 Sitting at a patient's bedside will help improve the overall experience. When you or a loved one is sick, it can be hard to know what to do or how to help. 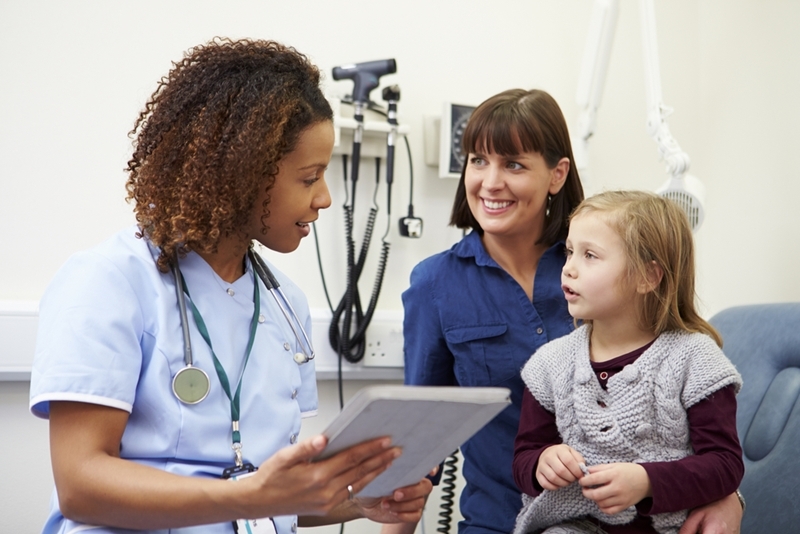 Doctors and nurses can significantly improve patient care by getting the individual as well as the family to participate in the patient's care. Family care partners will be essential to proper follow-up care and self-management strategies, PatientEngagementHIT stated. Health care providers should give the option of having a family member in the exam room for doctors to give updates and highlight the benefits of family engagement. Patients themselves should also be given the proper materials and knowledge to stay on top of their wellness. This will help them better understand their condition, their treatment strategy and how to remain healthy. Shared decision-making setups will improve patient experience and satisfaction and lead to better outcomes. "Visitor and patient feedback is vital to improving the entire health care experience." Visitor and patient feedback is vital to improving the entire health care experience. Penn Medicine in Philadelphia recently held an innovation tournament to identify ways to advance patient care. Ideas included creating digital maps of the hospital, speeding up referral appointments, managing patient check outs and reducing wait times with online patient organizers, MedCity News reported. Respondents also suggested providing educational videos to address procedure questions, applying scannable bracelets to reduce medication errors and using mobile apps to track a patient's progress. Medical facilities are often known for their long wait times, rushing doctors and a lack of time to address all patient questions. Health care innovations are helping to solve a number of these critical issues to improve the overall experience and deliver better care. By acting on feedback, sitting at the patient's bedside and encouraging participation in care decisions, organizations can achieve meaningful and sustainable changes. These highly reliable, positive experiences will lower lengths of stay, create fewer safety events and decrease readmission rates across the board. Keeping up with these experience metrics will improve care, outcomes and experience.